Installs in place of OEM Bulbs. 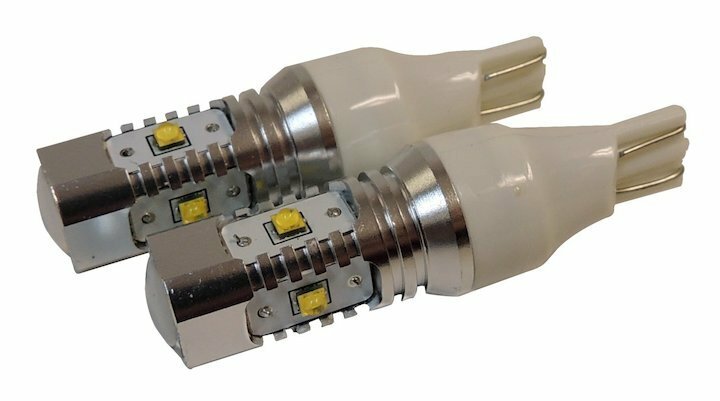 Each lamp includes 5 Cree LED's that produce 1000 Lumens while having 360 degree light output. Each lamp is rated at 2.4 watts at .4 amps at 12 volts. 50,000 hour LED bulb life and IP68, IP65 rated for shock protection.